This pendantâ€™s shape is similar to number eight. It shows infinity and abundance and the wearer attracts luck. 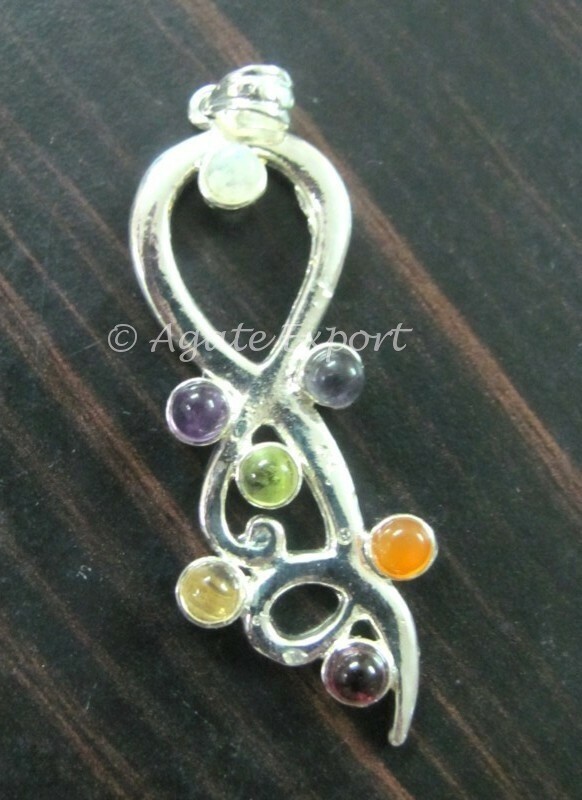 Eight chakra pendants can be bought from Agate Export.